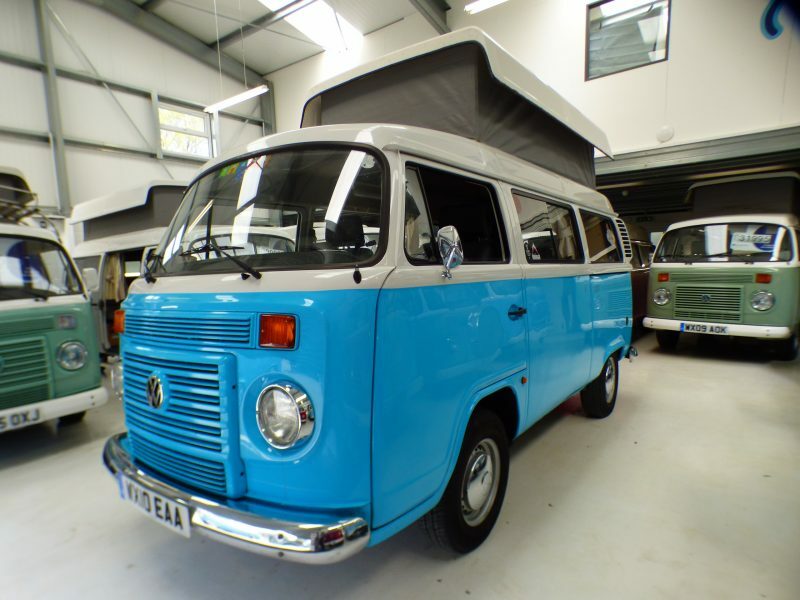 Left hand drive, low miles, power steering, 4 berth, chrome pack, full service history.. 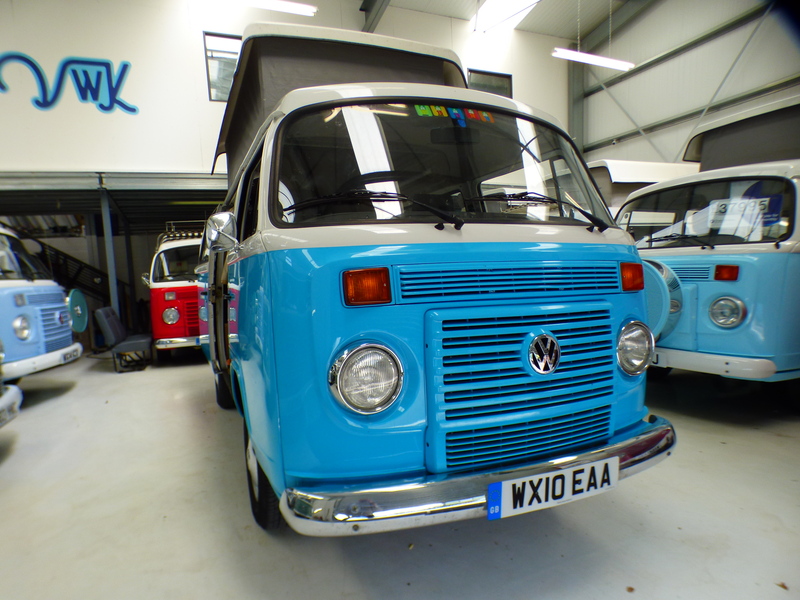 This delightful VW Kombi needs a new family!!! 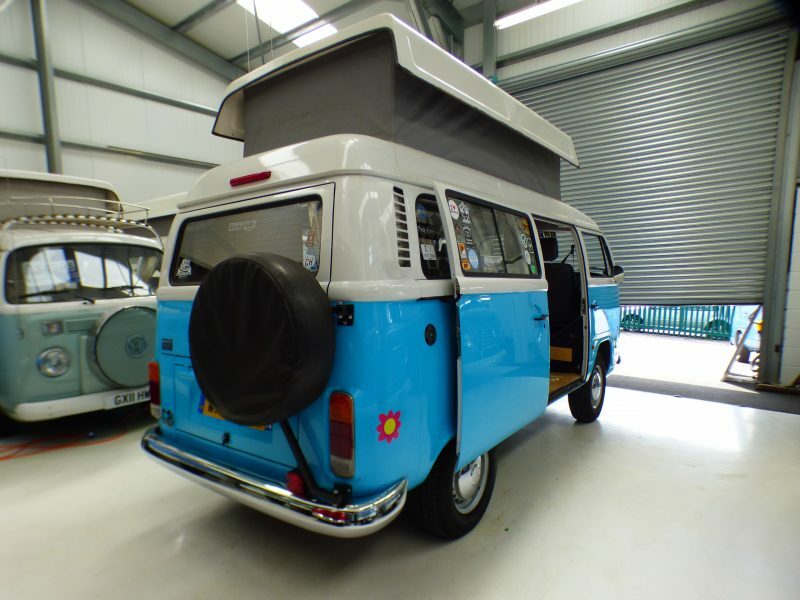 It’s perfectly set up to be practical as it can carry 6, sleep 4 and the wipe clean vinyl upholstery will not be spoiled by drips of ice cream!! 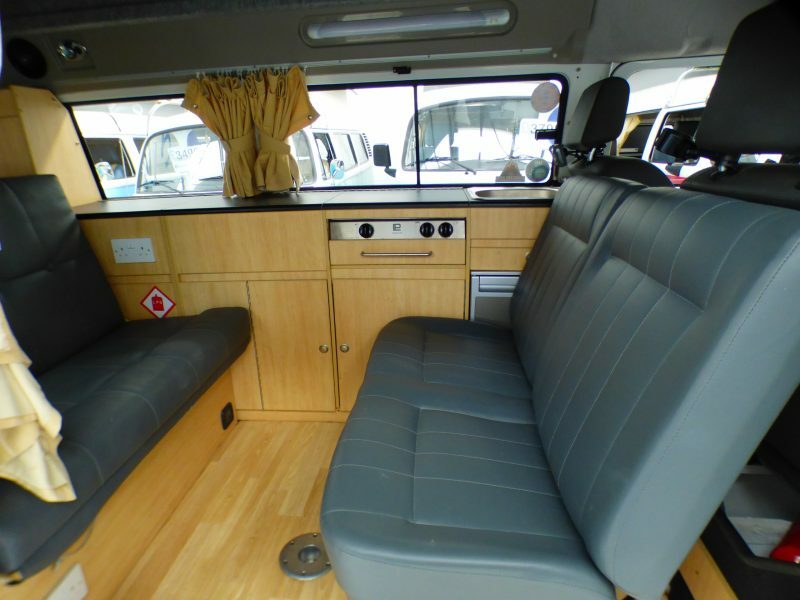 It’s still left-hand drive with power steering so ideal if you had continental adventures in mind. 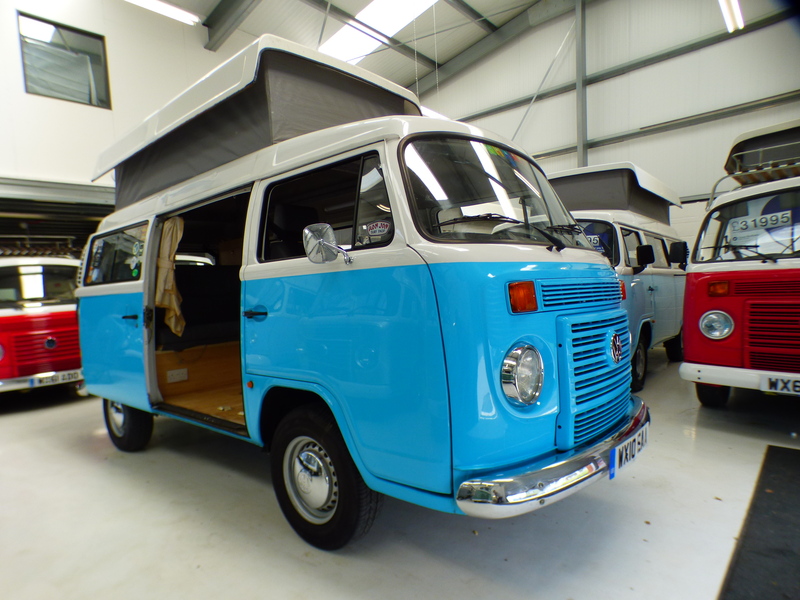 The aesthetics are great: rich Turquoise Blue under White paintwork, chrome pack that includes the mirrors, headlamp rings, bumpers and hubcaps. 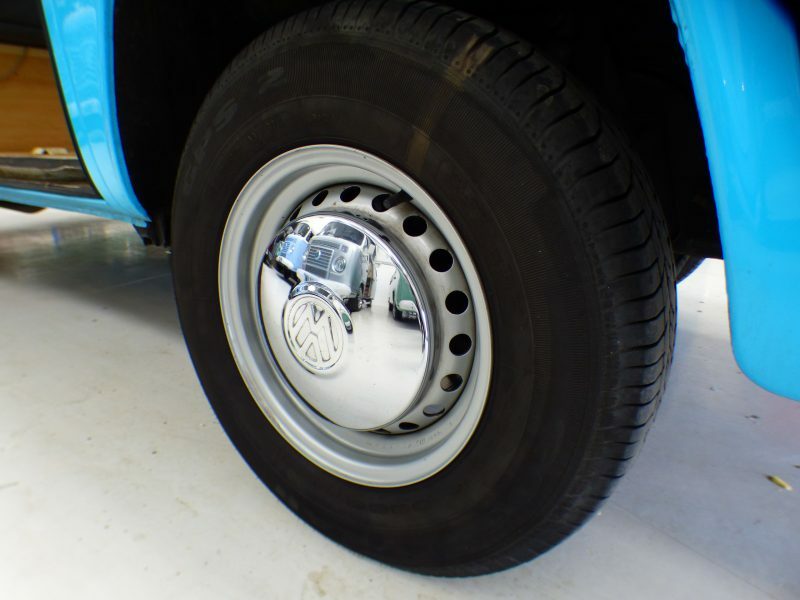 The spare wheel is carried on the rear offside allowing its factory location to be used by the optional Rio rear cupboard. 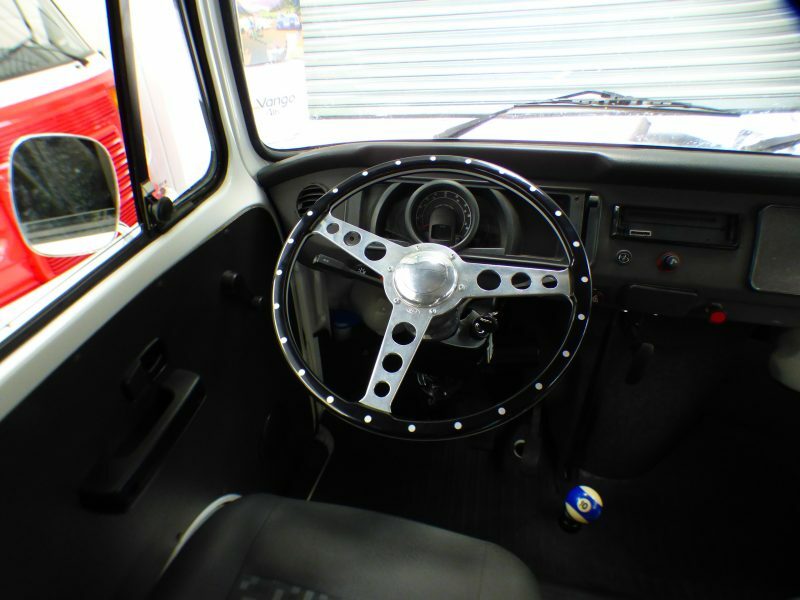 The hand-made custom steering wheel and pool ball gear-knob are a nice touch. 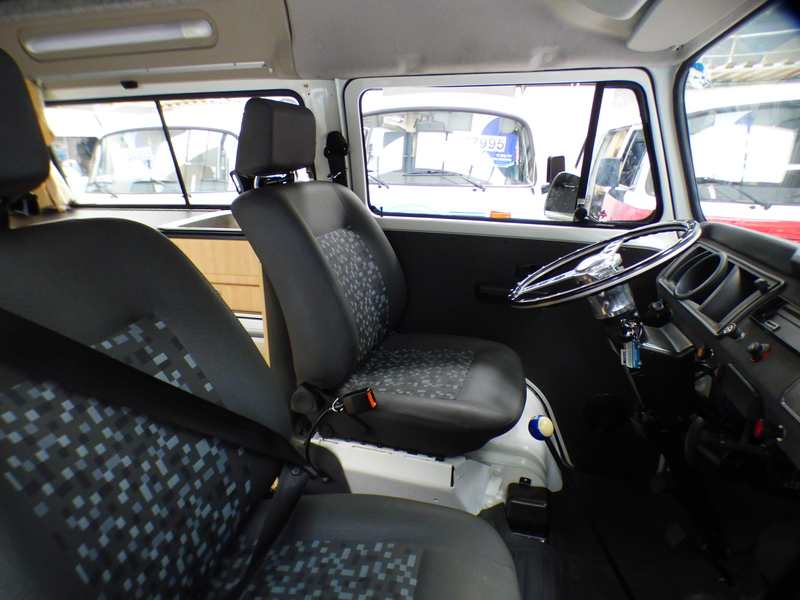 Up front the driver and passenger seats have 3 point seatbelts, as does the rear. 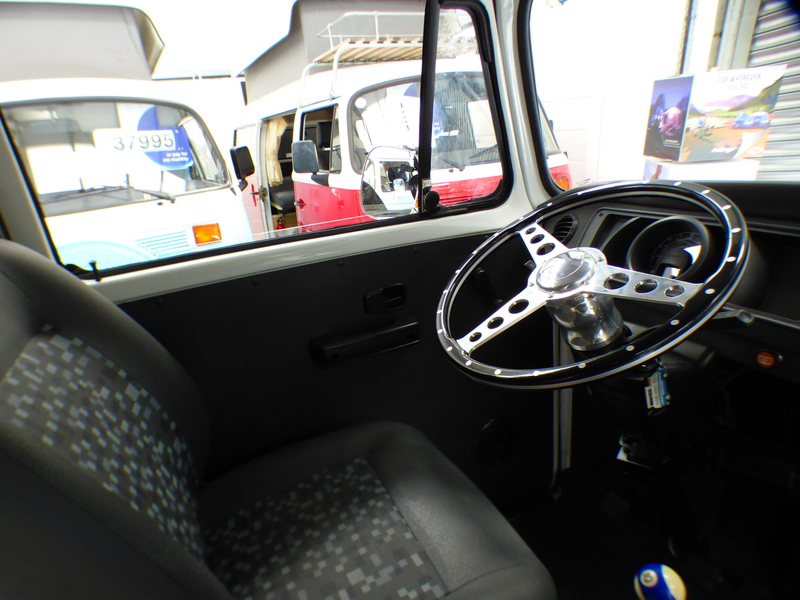 The reversible centre seat has lap belts. 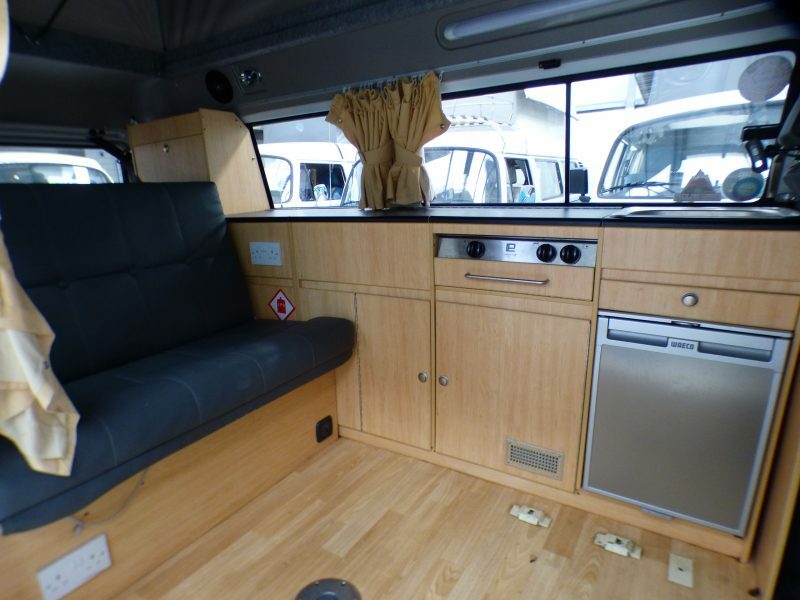 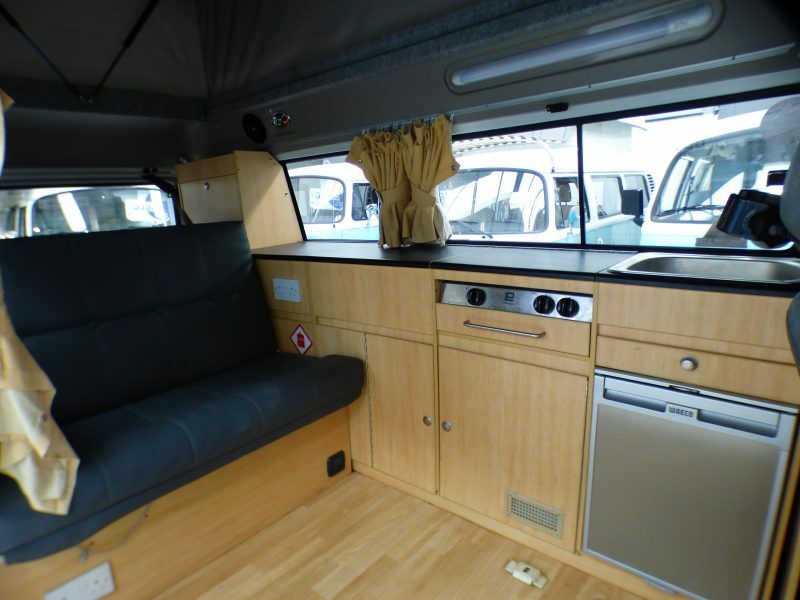 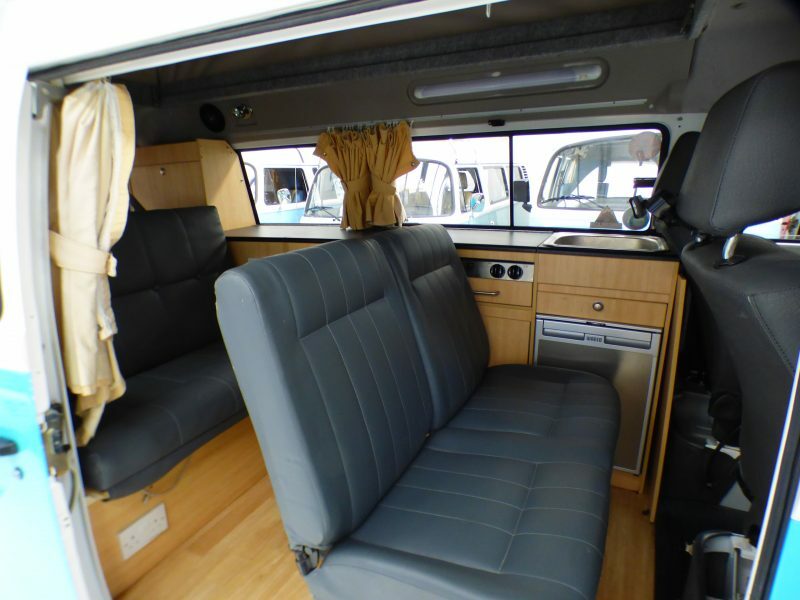 The Rio conversion means a 3/4 width bed combined with multiple cupboards. 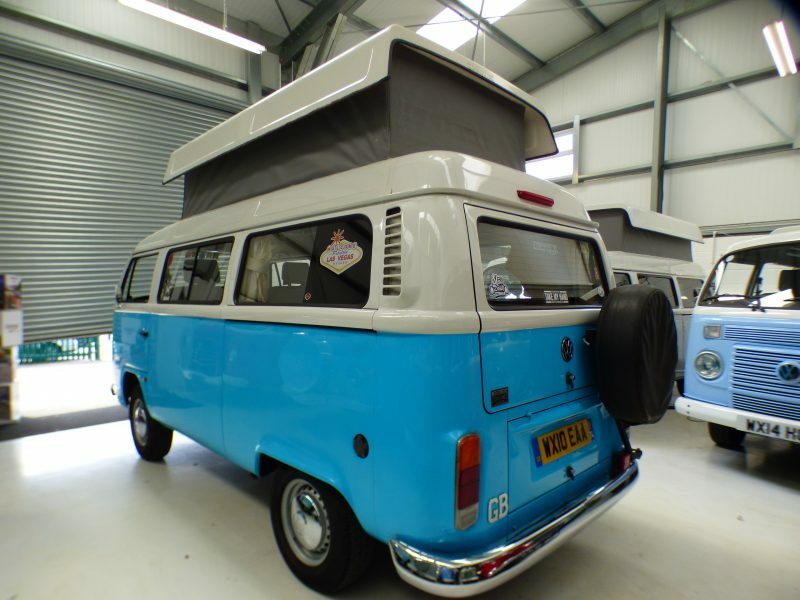 Raising the pop top creates a full 4 berth camper and makes an excellent daytime storage area. 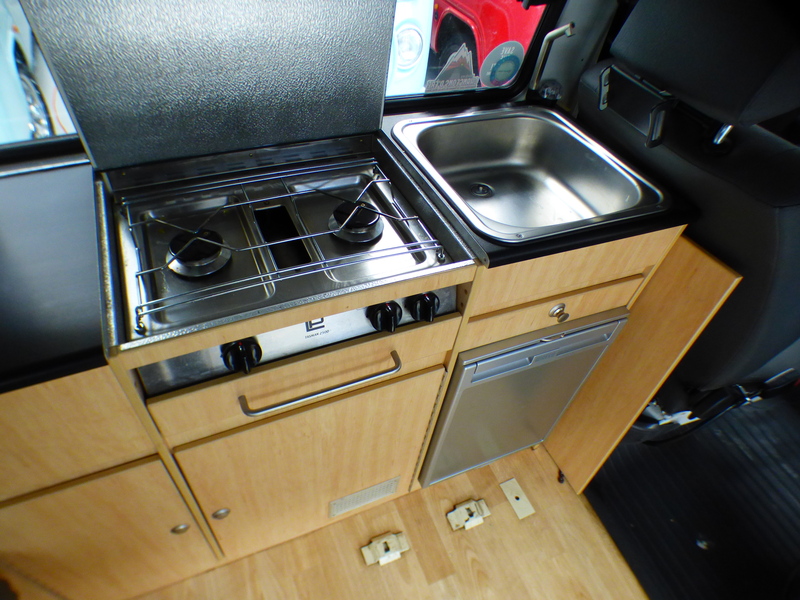 The Rio unit contains all you would need for a camping adventure – twin hob with grill, sink with electrically pumped cold water plus a low power fridge.